You can Import selected content from another Moodle course in which you are enrolled as the Primary or Non-Primary Instructor. This feature is different from the Overwrite current course process in that it will not erase or overwrite any course material. It is also different from the Import all materials into current course process because it will simply add the content that you select. If you want to restore an entire course, see the article: Overwrite A Current Course. Note: The Selective Import feature only lists your courses in Moodle 3. You will not see courses from Moodle 2 listed when using the Selective Import feature because they are not on the same site. For more information about the different ways to restore or import materials into a course, see GROK article # 18477 "Moodle 3: Ways to Restore or Import Content into a Course." 1. 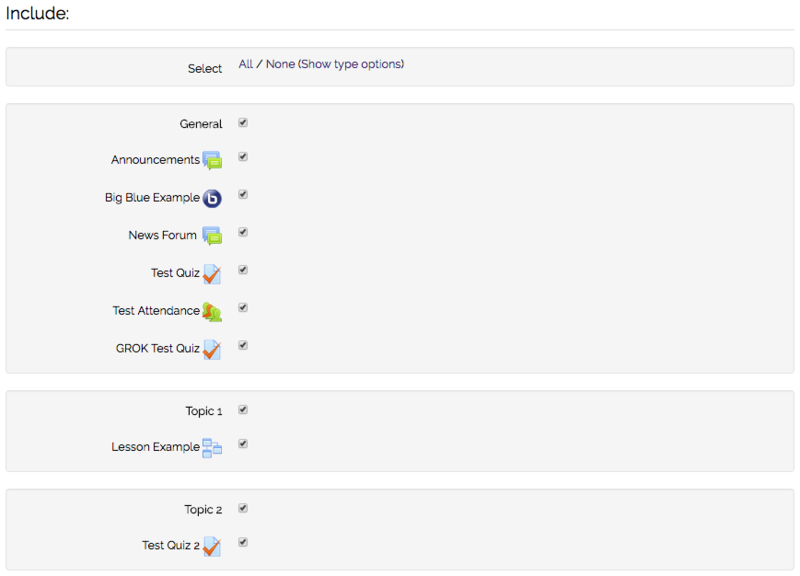 Log in to Moodle and click on the course you want to import content into. 2. 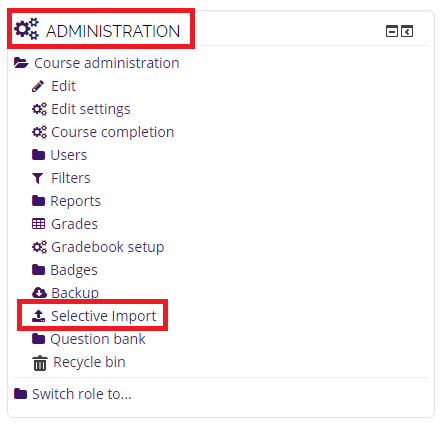 Click the Selective Import link in the Administration block within the Moodle course that you want to import content into. This can be a blank course, or a course that already has material in it. 3. 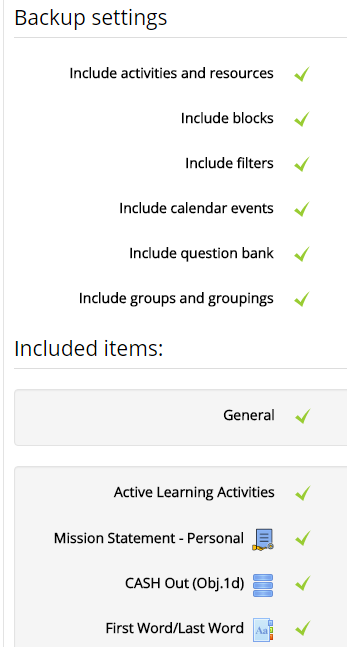 Select the Moodle course you want to import content items from then click Continue. 4. Select/deselect activities, blocks, and filters according to what you would like to be included. Then, click Next. NOTE: Moodle will only import the content items that have a check next to them. By default, ALL items are checked. You must manually uncheck the items that you DO NOT WANT to import. 9. Click Continue to return to your Moodle course. Note: If you notice any sections (topics/weeks) missing after importing materials, check to see if any are under sections labeled as 'orphaned activities.' For more information, please visit GROK article 18947.